Obituary for Clarence J. Butcher Sr.
Clarence Junior Butcher Sr. (AKA Junie or Butch), age 80 of Wilmington, Delaware, was born to the late Beatrice and William Arnold Butcher on July 22, 1938 in Smyrna, Delaware and peacefully departed this life on November 16, 2018 at his home, surrounded by love and family. He received his early education in the Smyrna area school district. He graduated from William M.W. Henry High School in Dover, DE on June 16th, 1958. He also attended Del Tech Community College where he was certified as an electrician. He enlisted into the U.S Army on September 28th, 1961 as a Duty Soldier. He met Mary Ann Hardin in 1956 and they married six years later on January 8th, 1962. During their union they produced four children Clarence J. Butcher Jr., Nadine C. Butcher, Timothy J. Butcher, and Tonia D. Butcher. In his earlier days, he enjoyed playing the trumpet, playing pool, bowling, and being a member of the Gentleman's club. Following his tour in the U.S. Army he worked at General Motors on the assembly line until he retired at the age of 50. He was a proud member of Canaan Baptist Church, where he served on the Usher Board as a gatekeeper in the House of the Lord. During his later years. he loved singing in the Men of God Choir, spending time with family and friends, but his greatest love was fishing. He is preceded in death by his father Arnold Butcher; mother, Beatrice Butcher: one brother, Delancey Butcher. 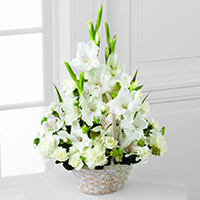 To send flowers to the family of Clarence J. Butcher Sr., please visit our Heartfelt Sympathies Store. 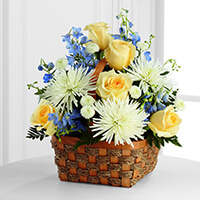 To Nadine and Family: Our sincerest condolences to you and family on the passing of Mr. Butchie. I will always cherish the memories of him greeting me, as a kid, at the front door at the house whenever I would come to see you! And the warmest greeting of a smile, hello and hugs as I entered the doors of 8th Street & Canaan Baptist Church. It is never easy to lose a parent, no matter their age. Prayers for your peace and comfort during this difficult period and know that we (I) will always be here for support. It was with such heartbreaking sadness to learn of your passing. Thank you for the great time we shared this July 4th at Butchie's house! You have always been so kind to me and my family. I will cherish the many memories and good times that we've shared. Prayers of comfort to the entire family, especially your children. Love, Devearl Oates and family. Our condolences to the Butcher Family - you are in our prayers. I am deeply sadden by the passing of my friend, Butch. We were fishing buddies for many years along with my cousin, James Saunders. Butch was a regular at guest at my home in New Jersey. He was a kind, compassionate man who held everyone's respect and affection. I will miss him very, very much. My sincere condolences to the Family. He was always nice and had a good personality. Prayers to the family.